"Your Holiday Planner for Nepal Adventure"
Gosainkunda Trek is equally famous among both the domestic and international tourist in Nepal, for Gosainkunda Trek takes you to the holiest Lake for the Hindu people i.e. Gosainkunda Lake and the place we go throughout the Gosainkunda Trek is extremely beautiful too. Gosainkunda Lake is considered is very holy because of its attachment with Lord Shiva, the highest in Hindu religion hierarchy and thousands of local and Indian along with many tourist of other nation of Hindu belief visit this place to pay their homage. On the other hand non Hindu tourist visit Gosainkunda area in equal number because of its excitingly beautiful landscape and Lakes. Gosainkunda Trek will take you to the maximum height of 4,610m. 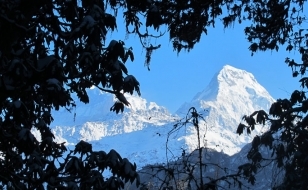 The trek start from Kathmandu and end at Dhunche.The high Gosainkunda pass, through the rugged trail with unbelievable views of Himalchuli (7893m) Manaslu (8156mm) and Ganesh Himal (7406m). On a clear day the place offers us the fantastic scenery of the Annapurna Range rising in the north behind the valley of Langtang Lirung. We’ll cross few huts in the high settlement of Laurebina and cross a small ridge, from where we have first glimpse of the Holy Lakes of Gosainkunda. Gosainkunda region has about a dozen frozen lakes among which the main three giants are Saraswatikunda, Bhairabkunda, and Gosainkunda. Today after breakfast at the hotel days start with about 1 hrs drive to Sundarijal from where trekking going to begin. The trail start ascending steeply through dense forest of oak, pine and rhododendron along with a large water pipe, that supplies water to Kathmanduites, until the ridge of Burlang Bhanjyang(2442m) from where you will have magnificent views of Annapurna in the west to Ganesh Himal and Numbur in the East. Then, you descend again through oak and rhododendron forest, cultivated fields and meadows to Chisapani. Stay over night at the tea house. Chisapani is such a nice place from where you able to Dorgelakpa and Langtang Himalayan range. After breakfast trek descent about one and half hour, you reach a large Tamang village-Pati bhanjyang from where you again climb to cross a pass of 2470m and then descend to Gul Bhanjyang, another Tamang Village. From here the trail again hikes to a pass of 2620m before descends to Khtumsang. 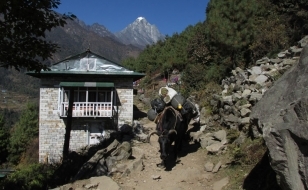 You will have splendid views, stretching from the Annapurna’s and Manaslu in the west to Numbur in the East. Stay over night at the t ea house. 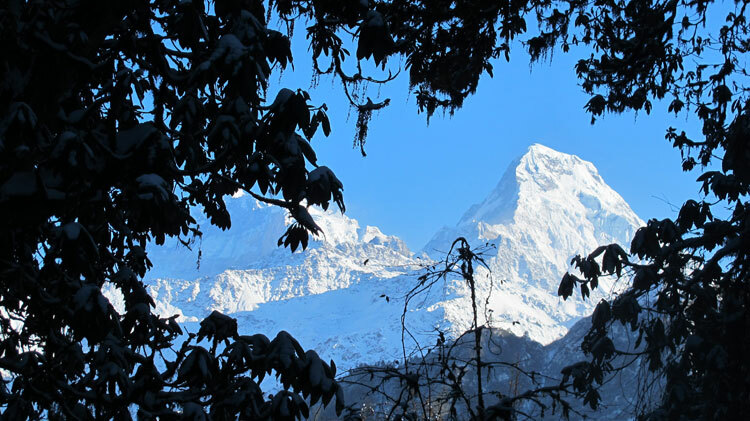 From Khutumsang, the trail ascend through forest with superb views across to Numbur, Jugal Himal and many other snowcapped peaks, before you arrive a ridge form where a short descent brings you to Mangan Kharka at 3285m. 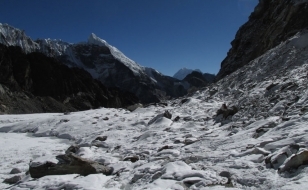 Now, the trail gradually gains altitude through pine and rhododendron forest with good views down into the Helambu valley and across to Jugal Himal and Numbur. Finally reach at the Tharepati for overnight. From Tharepati, the trail descends to a stream and ascends along the ridge, through rhododendron and juniper forests, to Ghopte at 3359m. From here, we again ascend to Phedi. 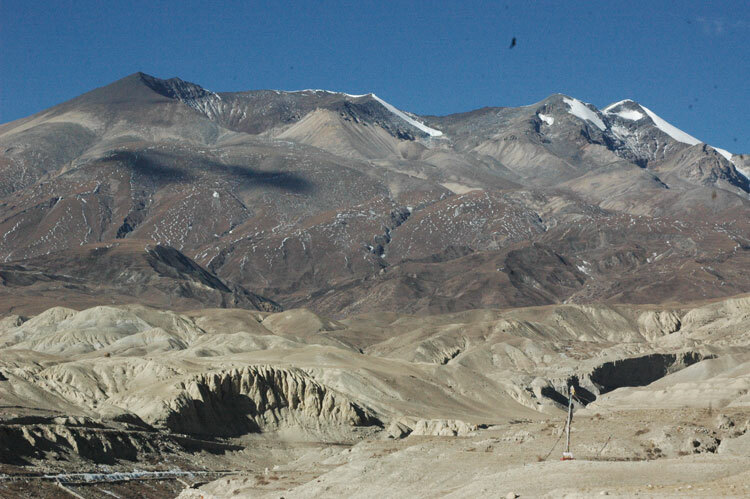 This is such a nice trek which offer imagines view of Laurebina pass. Stay over night at the tea house. The trail ascend all the way to Laurebina pass at 4610m, pass four small lakes and descend through rugged country and arrive in Gosaikunda. There are three sacred lakes in Gosainkunda- Saraswati Kunda, Bharavi Kunda and Gosaikund. This third lake is particularly sacred and is a place of pilgrimage in summer. According to the legend, this lake was created by Lord Shiva himself when he pierced a glacier with his trident to obtain water to quench his thirst after he drank the poison which was a by product while churning the ocean by “Suras” and “Asuras” for ambrosia. Stay over night at the tea house. From the lake- Saraswati Kunda, the trail ascends to a ridge. There are good views across Langtang valley to Langtang Lirung. 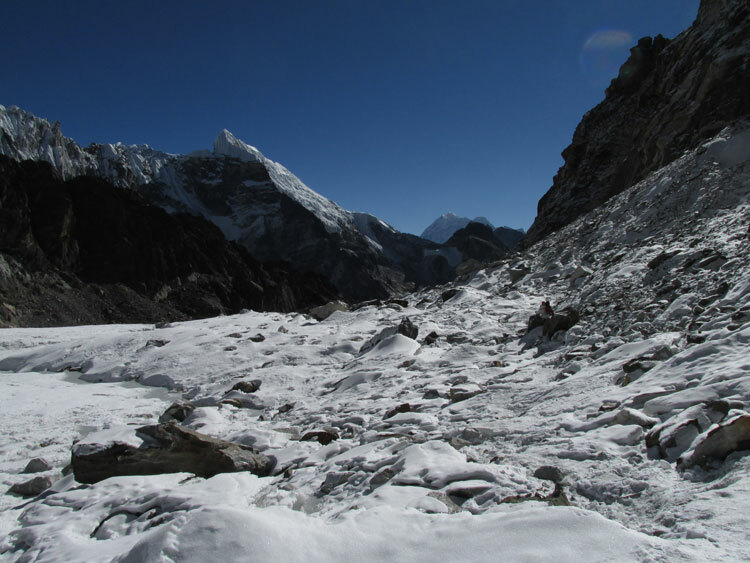 To the west are dramatic views of Himalchuli, Ganesh Himal and Manaslu. 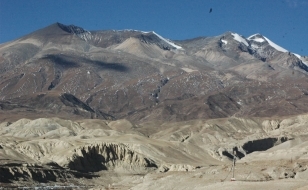 From this ridge, we descend to Sing Gompa via Laurebina. There is a small monastery and a cheese factory in Sing Gompa. Stay over night at the tea house. 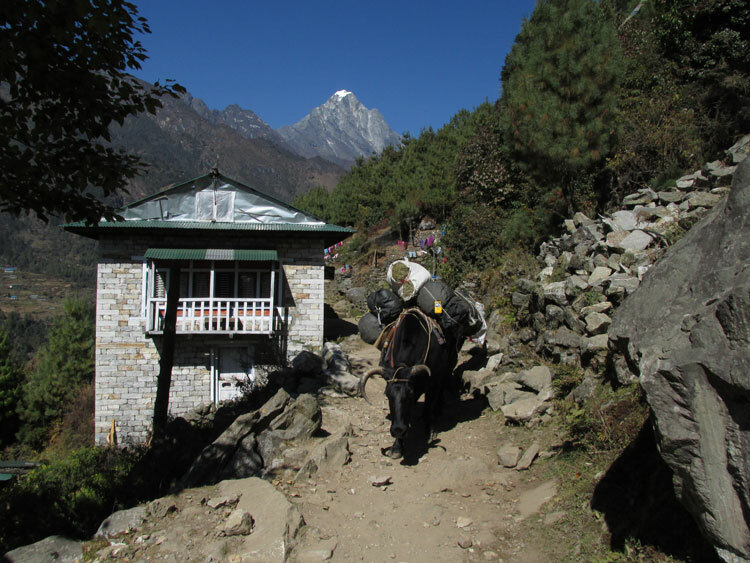 Today after breakfast you trek down all the way to Dhunche through the forest of oaks, firs and rhododendrons. Dhunche is district head quarter of Rasuwa. Stay over night at the tea house. Today after an early morning breakfast your guide will take you to the bus station for day scenic countryside drive back to Kathmandu through the bumpy rode till Betrbati Bazaar, After Betrabati Bazaar the road begin better. Stay over night at the hotel. © Copyright Hiking Himalayas Treks and Expedition. All Rights Reserved.